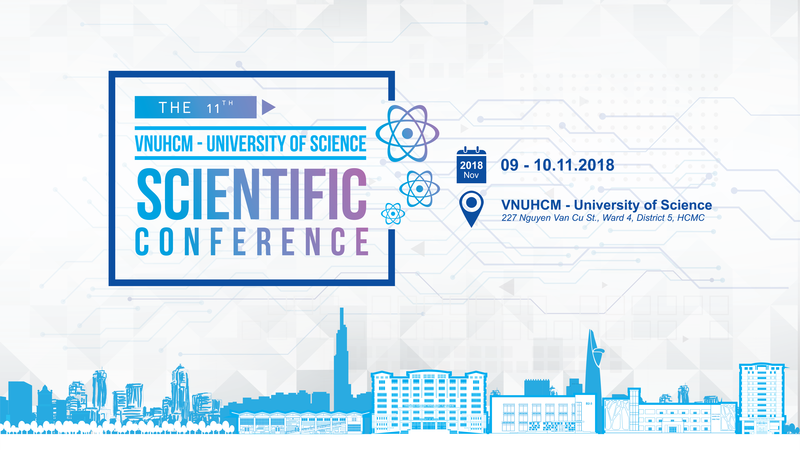 Following the past successful conferences from 1998 to 2016, the 11th Scientific Conference of University of Science, Viet Nam National University Ho Chi Minh City (VNUHCM-US-Conf’18) will be in November 9-10, 2018 at University of Science, VNU-HCM, Ho Chi Minh city, Vietnam. This bi-annual conference aims at providing an academic forum for researchers and graduate students to share their latest research findings and to identify future challenges in all disciplines and fields of education and research at University of Science, VNU-HCM. This is the platform for authors from our university of partner institutions to present their research results in their fields of interests. Besides, it also aims to provide opportunity for discussion, exchange of ideas and solutions to study integrated issues. This requires the engagement of different scientific fields, areas existing in the university, and to stimulate the collaboration and formation of interdisciplinary research problems and projects among research teams within the university and partners. The conference is also a chance for young researchers, Ph.D., Master, and undergraduate students to present their emerging and interesting results. Author/co-author registers an account and submit abstracts to EasyChair system. Please refer to the submission guideline for further information. The program committee of each track decides and sends notification emails to authors. Oral presentation in plenary sessions, or oral/poster presentation in parallel sessions.